There is a grudging realisation that the Chinese economic juggernaut is encountering a drop in GDP growth, its industry is confronted with overcapacity and an extremely high domestic debt to GDP ratio. This comprises of a toxic loan portfolio, instead of development induced lending. Its economy is facing a downturn in domestic demand, and in response the economic giant aims to upgrade technologically and digitise its economic base to secure access to hitherto untapped markets at home and abroad. China is attempting to revive the ancient Silk Route as an integral component of its much touted signature Belt and Road Initiative (BRI), which in the public eye remains restricted to its insatiable demand for an expanding grid of port, pipeline, rail and road infrastructure projects. What lies below the surface is its desperate desire to lay the structure of a Digital Silk Road and achieve enhanced digital connectivity. The policy for this ambitious drive is contained in a document made available in 2015 in the public domain by China’s National Development and Reform Commission, advocating development of cross border optical cables and other transcontinental submarine optical cable projects. In a move to keep revenue streams of the Chinese state managed IT firms intact, the China Development Bank and Industrial and Commercial Bank of China made available a US$ 2.5 billion credit line to an Indian telecom operator BhartiAirtel, in 2015. This was for India’s infrastructure development, who obliged by outsourcing a component of its network equipment, to Chinese equipment manufacturers, namely Huawei and ZTE. The focus towards digital connectivity by China is suspected to be driven by a race with the United States for undersea connectivity through fibre optic cables that handle almost 97 percent of international internet and digital data, as well as telephone traffic. China is keen to establish an undersea cable known as Pakistan China Fibre Optic Project for strategic purposes. In 2017, Huawei proposed to establish the Pakistan East Africa Cable Express, connecting Pakistan to Kenya. As per information available in the public domain, China has consolidated its indigenous Global Navigation Satellite System, also known as the BeiDou Navigation System that comprises of four global navigation satellite systems, with the US Global Positioning System (GPS), European Union’s GALILEO, and Russia’s Global Navigation Satellite System (GLONASS). Chinese ambitions do not end here, as it intends to terminate its excessive reliance on the US GPS, and launch a constellation of 35 satellites to extend its strategic might. To date, China’s vaunted BRI remains an impracticable overland push across Eurasia to a maritime route to South Asia and beyond. Its sustainability and charm is to create an ‘Eastern Silicon Valley’, vaguely encompassing quantum computing, nano-technology, artificial intelligence, big data and cloud storage. Such a vision is notwithstanding China’s heavy online censorship, although it would help a lot of states in the region. As per the International Telecommunication Union, less than one fifth of the populations of Sri Lanka, Cambodia, Afghanistan, Bangladesh, Laos and Yemen had access to internet in, 2016. Moving away from romantic notions, a dispassionate analysis of existing BRI projects is essential, particularly in the context of Pakistan. In the global perspective, unlike the maritime transport regulated by the International Maritime Organization, no land or rail regulation exists and is country specific. The transport routes developed as a part of China’s BRI, including the Trans Caspian International Transport Route, are beset by inherent weaknesses. This happens as there exists no shared platform for the transportation businesses, there is also a lack of transparency, no online tracking and online accessibility, while transport routes get congested, leading to delays at border stations. This is complicated by the fact that there are two legal international regimes in power between Europe and Asia. One is the Inter-governmental Organisation for International Carriage by Rail, in Western European countries, and the other is the Organisation for Cooperation between Railways, in the East. Substantial variations, even if offset through adaption, remain vulnerable in the sphere of railway mass transportation, once the political euphoria dies down. In its initial stages, rather than going for visibility, the emphasis should be on making rail networks convergent and interoperable, with emphasis on research to create seamless and digital international transport documents, which will take considerable time and cooperation to develop. Pakistan should ensure that it is an even partner in digital research, on similar terms as those agreed by China when it forged an agreement with the EU to coordinate research and development of 5G networks, back in, 2015. In the language of digital evangelists, algorithm integration is essential to ensure transparency and bypass barriers, eliminating congestion that will enable a uniform legal environment for rail transit. One cannot remain oblivious to cyber aggression, which can be addressed by developing indigenous software operations and safeguarded systems. The contemporary rail transport systems and information technologies remain mired in dynamics of the previous century, and digital globalisation has not moved towards developing multi-modal rail frameworks. Chinese development banks offer loans to mobile network projects in resource constrained countries in Africa and South East Asia in order to secure the Chinese market share. 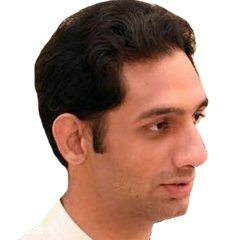 Pakistan has to tread carefully and negotiate on its digital and rail interconnectivity and financial arrangements with China, as it may encounter pressure from wary Western multilateral development and lending agencies suspicious of China’s increasing strategic forays into areas thought to be exclusively within Western influence.